Nate Diaz Will Be Kron Gracie’s Cornerman This Saturday Night At UFC Phoenix! The Ultimate Fighter 5 winner Nate Diaz didn’t fight since UFC 202 when he was defeated by Conor McGregor via majority decision after five great rounds. “The Stockton Slugger” was set to meet Dustin Poirier at UFC 230, on November 3, 2018. But “The Diamond” suffered an injury and pulled out of the competition. Nate was later scrapped off the fight card too. Nate Diaz finally returns to the UFC this Saturday night. Yet, younger Diaz brother won’t fight. He’ll coach the former ADCC Submission Wrestling champion of the world Kron Gracie, who meets Alex Caceres in the main card of UFC on ESPN 1. 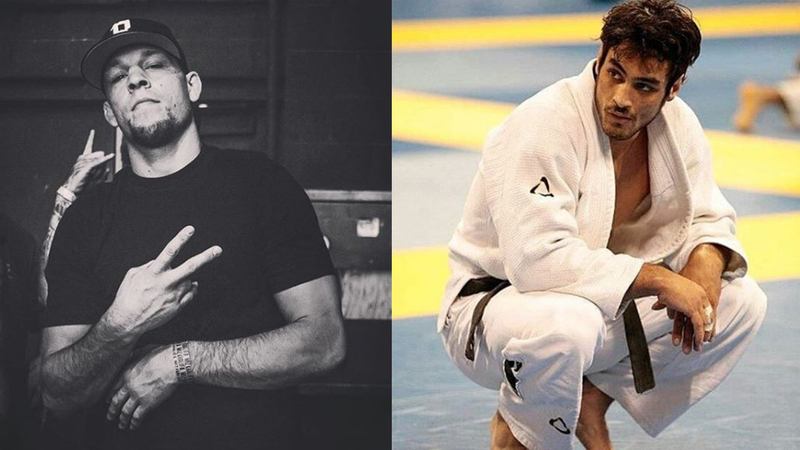 BJJ black belt Kron Gracie is undefeated in MMA, with the score of 4-0. In his first match, “Ice Cream Cron” finished Hyung Soo-Kim via a superb first-round armbar. Gracie then forced both Asen Yamamoto and Hideo Tokoro to tap out. Kron had the hardest MMA match of his career at Rizin World-Grand Prix 2016 on December 31, 2016, versus one of the toughest Japanese mixed martial artists Tatsuya Kawajiri. After a fantastic first round, “Ice Cream Cron” somehow managed to take “The Crusher” to the ground, and secured a textbook rear-naked choke victory. Alex Caceres (14-11, 1 NC MMA, 9-9, 1 NC UFC) had ups and downs in his last five fights, with 2 wins and three losses. In his last match, “Bruce Leroy” defeated Martin Bravo at The Ultimate Fighter 27 Finale on July 6, 2018, after a close split decision. Do you think Nate Diaz presence will help Kron Gracie defeat dangerous Alex Caceres? Next articlePics: Pretty fit Mirko Cro Cop is probably clean, right?